Hello, friends! 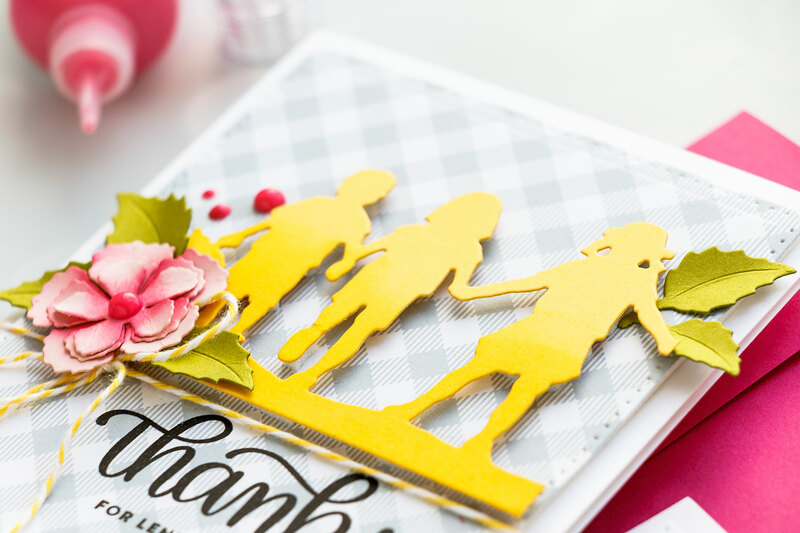 Today I have several cards to share featuring ombre ink blended silhouette die cuts created using dies from the Little Loves collection by Sharyn Sowell from Spellbinders. As of September 2016 I work as an in-house creative designer at Spellbinders office in Phoenix. While I do a lot of work for them and create a number of different projects I am only sharing what I truly love made using their products here on my blog. I do not and never will share projects or mention products I not love. I started working on these cards by doing my die-cutting first. 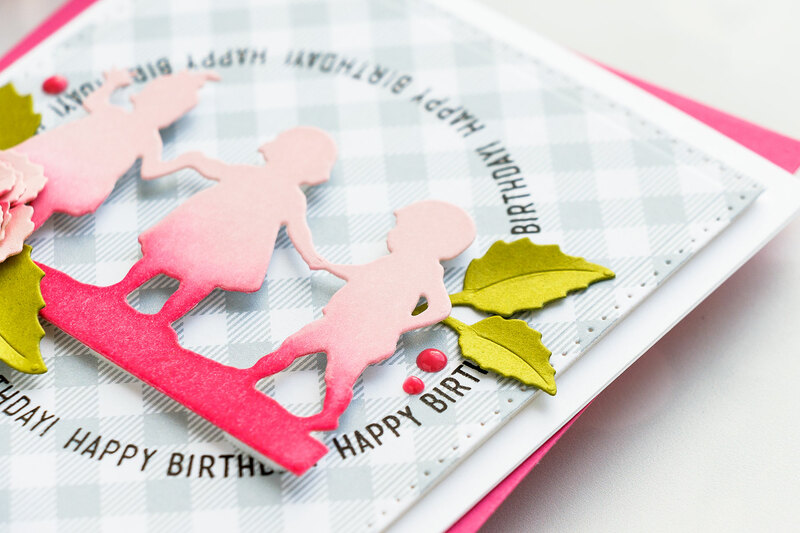 I used my Spellbinders Platinum die cutting machine, white cardstock and several dies from the Little Loves collection – First Friends, Little Boys at Play, Away We Go, Every Day Is A Happy Day and Baby’s Birthday. I later re-cut some of those our of colored cardstock. 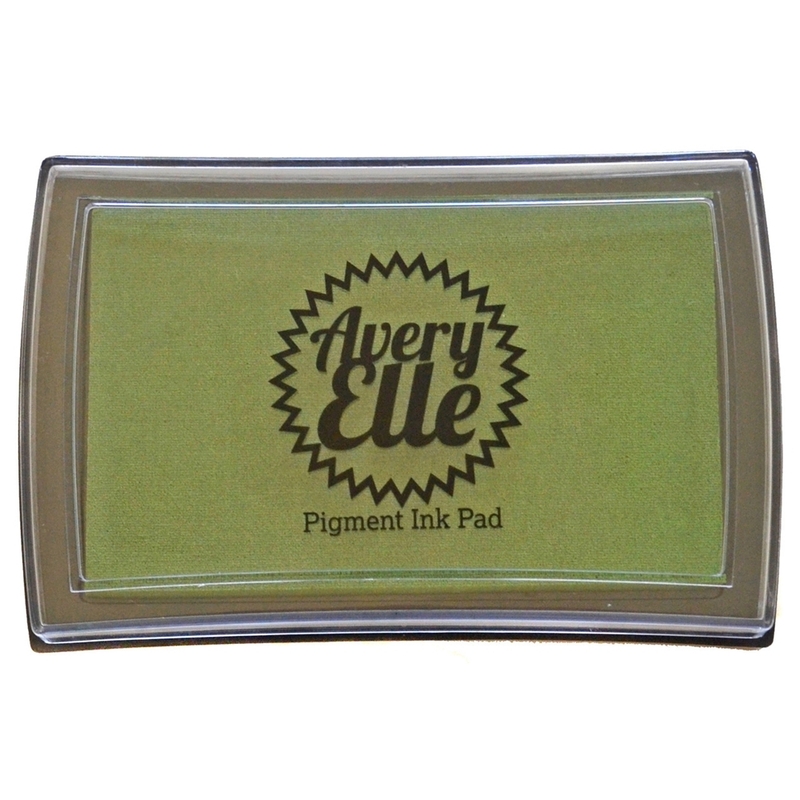 To add some color to my die cuts I used Pigment ink from Avery Elle. I used Tonic’s Easy Clean Mat to protect my work surface and quickly blended 2 color of ink onto each of the die cuts for the ombre look. I used: Pixie and Raspberry, Daisy and Mimosa (I later re-cut this out of yellow cardstock and only blended Mimosa), Lemongrass and Jungle, Sea Glass and Aquamarine. 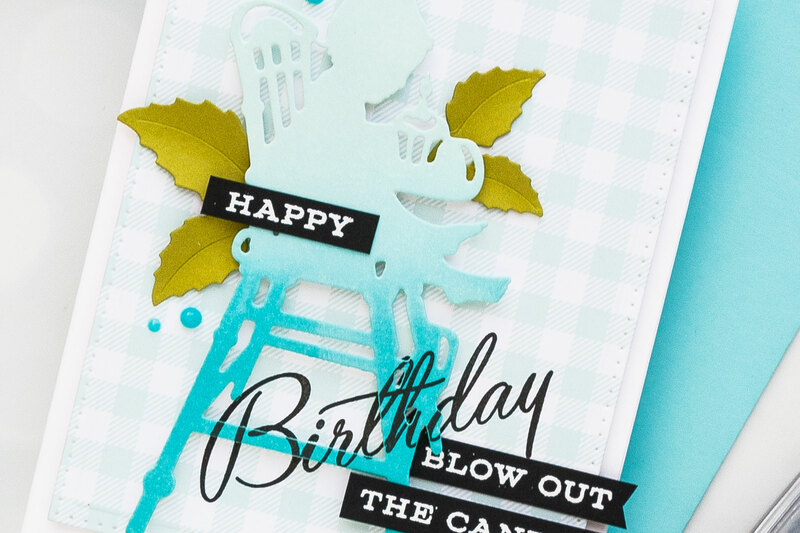 I used Gotta Have Gingham 6×6 paper pad by Lawn Fawn and die-cut panels for each of my card using the largest die from the Scored & Pierced Rectangles set. I cut them and also embossed them to add additional detail. I also die cut a few additional pieces to embellish these cards using some of my other dies – I used leaves and flowers from Marisa Job’s Blooming Garden collection. You can definitely use pre made embellishments, maybe some pre-made flowers or stamp and die cut some flowers out, I wanted to keep these cards all die cut and I didn’t have any pre made florals in my stash, this is not something that I use, so I just used the dies that I had and I made my own flowers. I also picked sentiments for my cards and I wanted to make sure to have big and bold messages for each to accompany the die cuts. 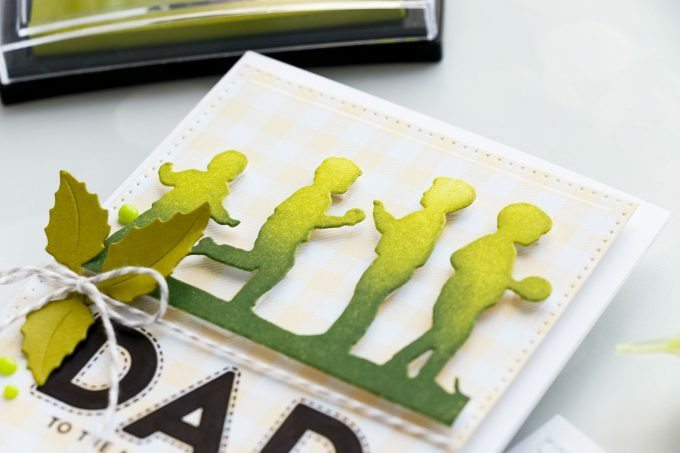 These little silhouettes are wonderful to make family type cards, so a Mother’s Day card, a Father’s Day, a reunion card, a birthday card – things like that. 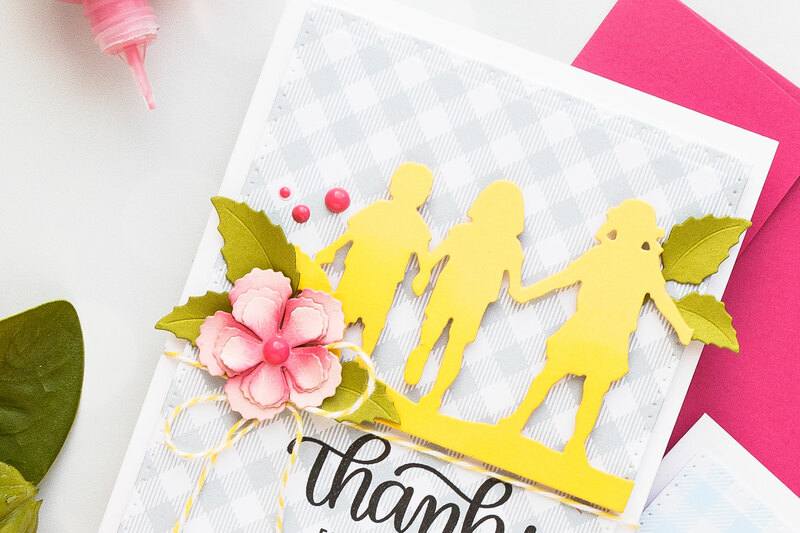 I stamped all of my sentiments in black ink and I used stamps from the following stamp sets: Circle Sayings, Big Thanks Words, Mom & Dad Icons, You Matter by Simon Says Stamp; Birthday Cheer by PTI; Love You Mama by CZ for SSS. I foam mounted all of the elements in place, used glue to adhere the flower layers and also the leaves and embellished my cards using Nuvo Drops and twine. 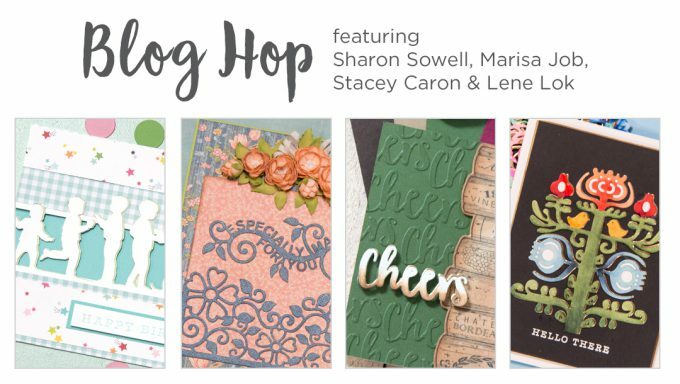 I also have a $25 gift certificate to giveaway to Spellbinders blog. Leave a comment here and let me know if you’re excited about these silhouette dies. I’ll pick, notify and announce winner (in this post) on May 22nd. Winner is responsible for shipping cost, duties and taxes. The winner is Carol Jones. Congratulation, Carol! I’ll be in touch. I’m loving not only the silhouettes (they remind me of one of my favorite ever HA stamps of kids), but the folk art and the wine dies too. What a release! Perfect, pairing your kiddos with gingham! Lovely cards – so much inspiration! The ombre effect on the die cuts is beautiful. I am so glad to see pigment inks getting some love. I started with pigment ink and still love to use it. 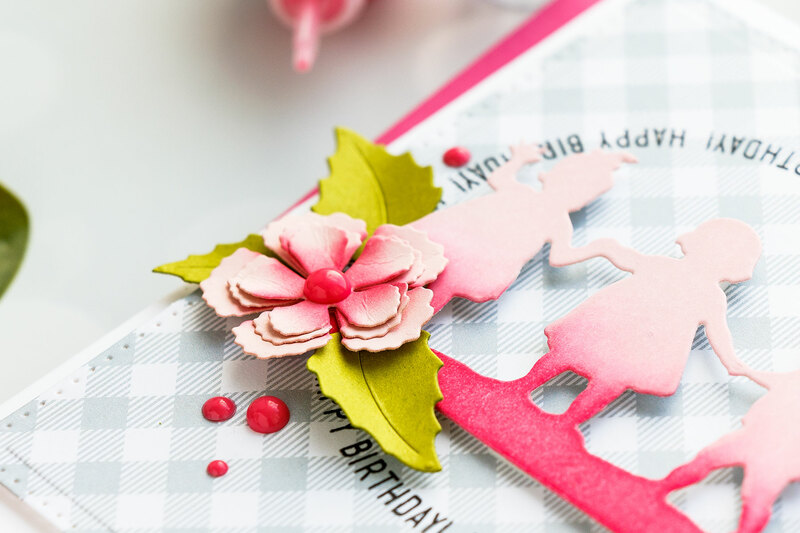 These are beautiful, and I love how the gingham is the perfect complement for the die-cuts. Thank you so much. 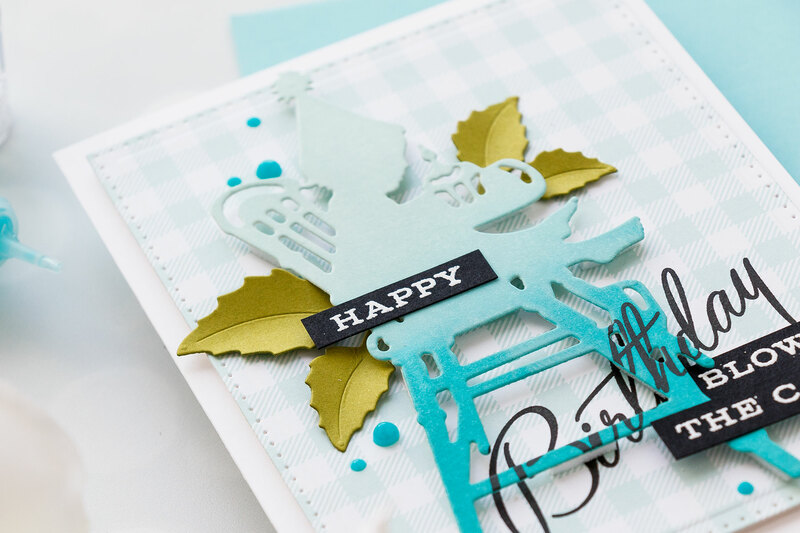 Oh Yana, you’ve been very busy making wonderful cards with these dies! I really like the way you’ve shown the same die with different sentiments. Shows the versatility & that’s what I want when I buy a product. Thanks so much. 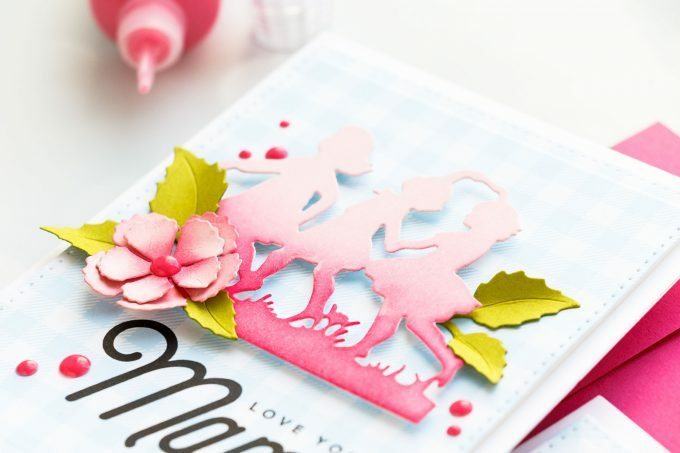 The ombre die cuts are just stunning, I never would have thought of doing that, wow! I always love to see what you create. What beautiful cards. Thanks so much for sharing. Thanks to your cards, I love these new dies. 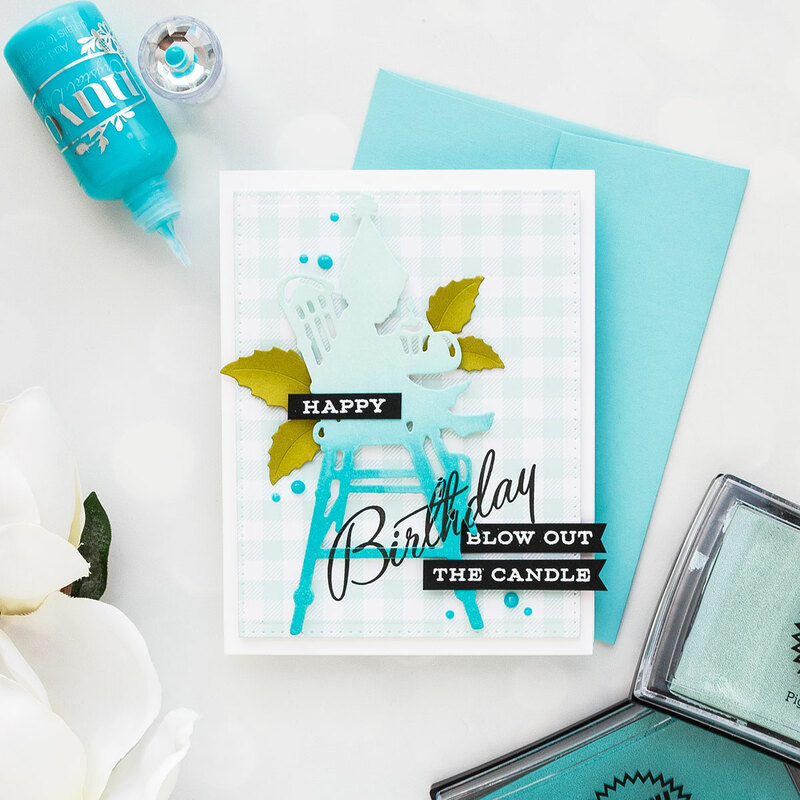 Lovely cards, great ideas! 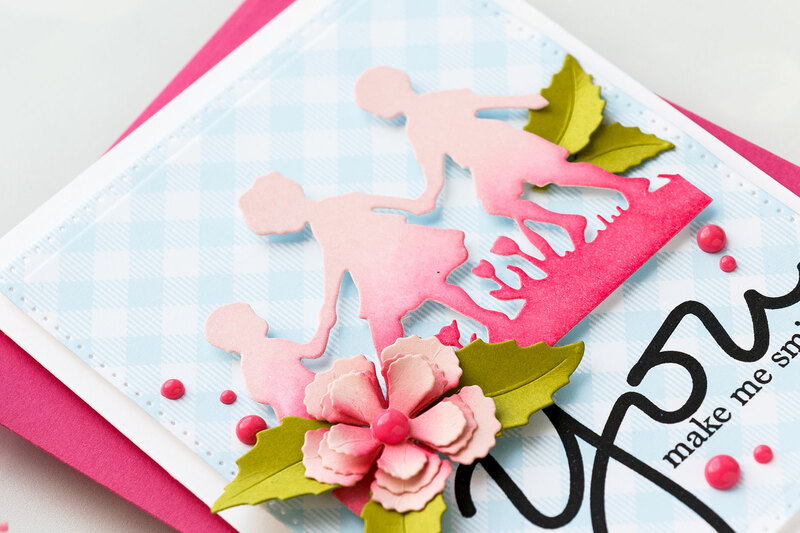 These silhouette dies are gorgeous and so versatile! I love the ombre inking you did on them, especially the pink. Your cards are lovely! Thanks for all the beautiful cards. I love the silhouette dies. The hombre colors are pretty too. This has such a soft look and feel. Your background paper and colors are pretty! I love that ombre look! Great cards! Beautiful cards! The first few just scream spring, which is what I needed here in snowy Minnesota. Love that you used the same theme on all of the cards, great birthday and dad card too! Your cards are all gorgeous! I just adore the silhouettes, they’re precious! And the ombre idea is perfect, I’m going to try that on my next project. Thanks for the inspiration Yana, as always I love your videos! Awesome cards! 🙂 Definitely excited for these silhouettes! Gorgeous cards Yana! I love the sweet die-cuts with the ombre coloring! So soft and pretty! The flowers are just the perfect embellishments along with the Nuvo drops. Sweet designs! I just adore this ombre technique. Beautiful. The high chair is adorable too. Beautiful cards. I love the ombre effect…so gorgeous! 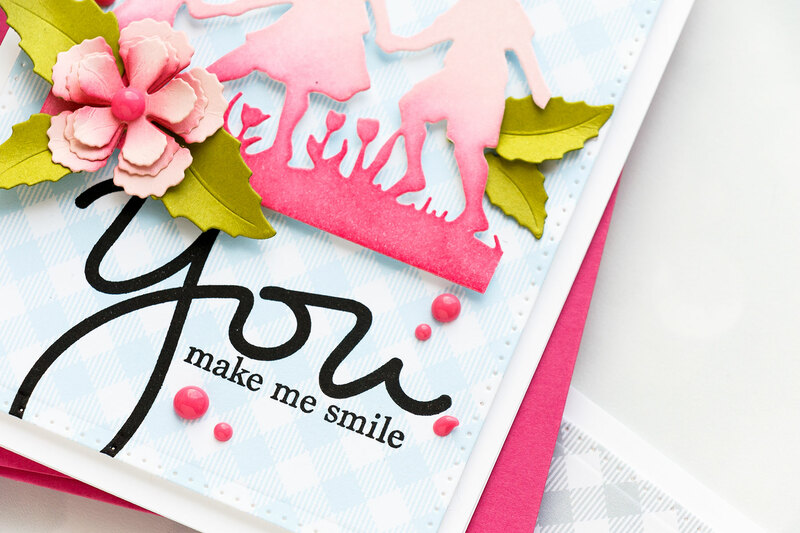 I instantly fell in love with these sweet silhouette dies and I love your set of beautiful ombre cards!! I like all your cards. Love the ombré coloring. 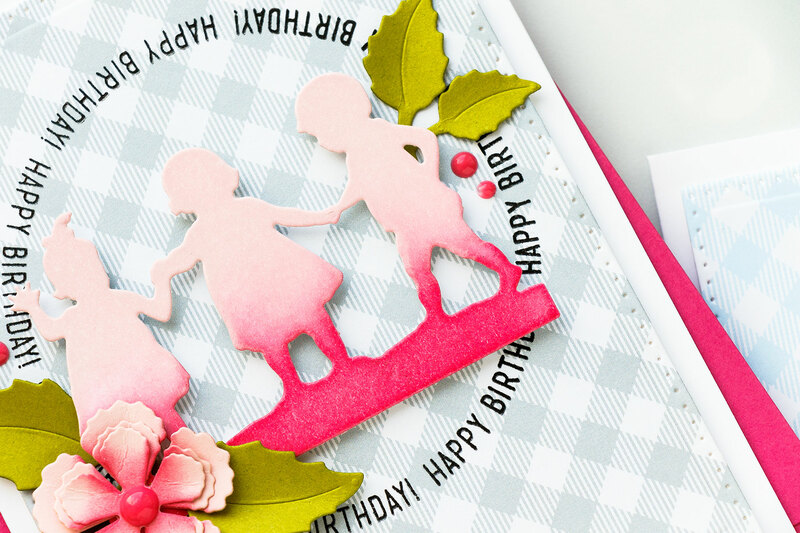 I adore all these new silouette dies, so delicate and pretty! Gorgeous cards! Sure to bring a smile! Oh my Yana what a top notch video and amazing cards. 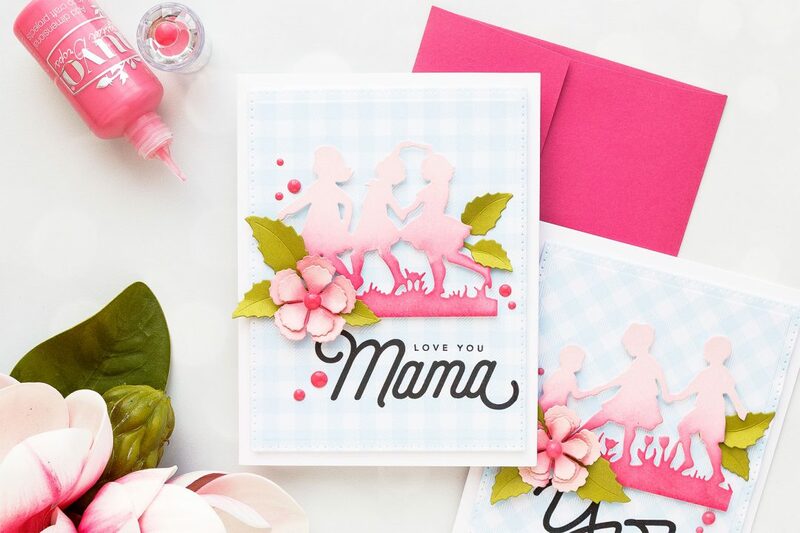 I love that you covered many of the silhouette die images and all the tips and techniques for the sentiments like colouring the Dad in and how you stamped the birthday across the Baby one. Never would have thought to do that. As always a wonderful presentatation. Thank you for always inspiring. Your cards are absolutely perfect, Yana! I love the soft coloring & those wonderful designs. You have blown me away with these beauties! Yes, I am excited by these new dies. Spellbinder products look to be such well made product. I cant wait to try some out..
Lovely cards and ombres make my heart sing. 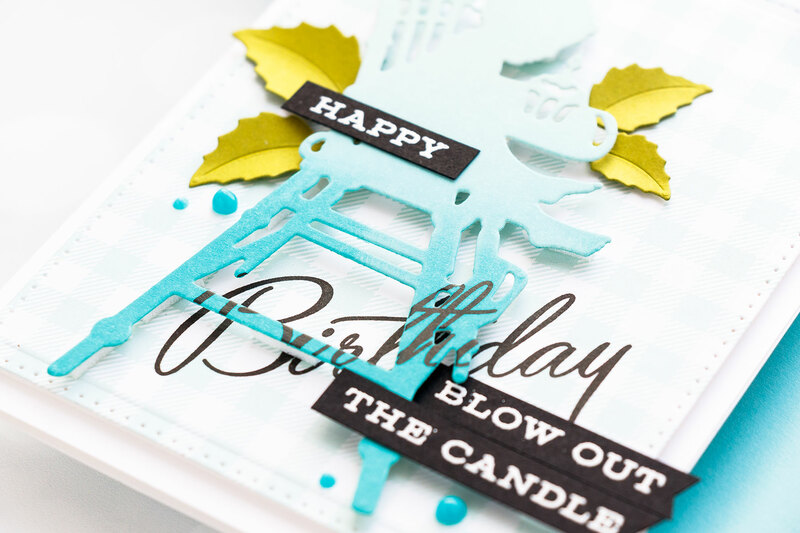 I DO love the new Silhouette dies–very unique. I also love your ombre coloring technique. So pretty. These are all so cute. Love the ombre inking of the die cuts. 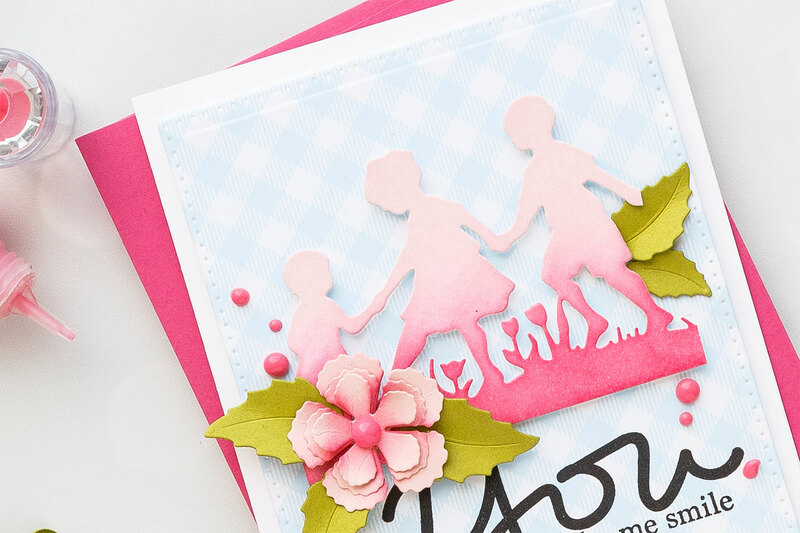 Love the ombre colors on your cards and these silhouette dies are amazing. Love what you have done! Fabulous cards! Love all your backgrounds and these sweet silhouette dies! Awesome colors! These silhouettes are just delightful. Love your cards. Wow!! Super gorgeous fun creations!! These silhouettes are stunning in and of themselves but using the Ombre affect really makes them spring to life!!! Am in love with these inspiring creations! Your cards are so incredibly beautiful that yeah !! I’m really excited about these dies ! !